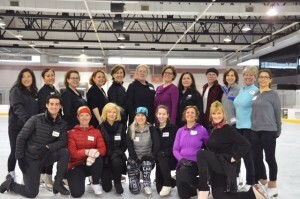 Last Friday, 17 lovely, fearless women joined me on the ice at the Codey Arena in West Orange, NJ for my first One Day Adult Figure Skating Camp! 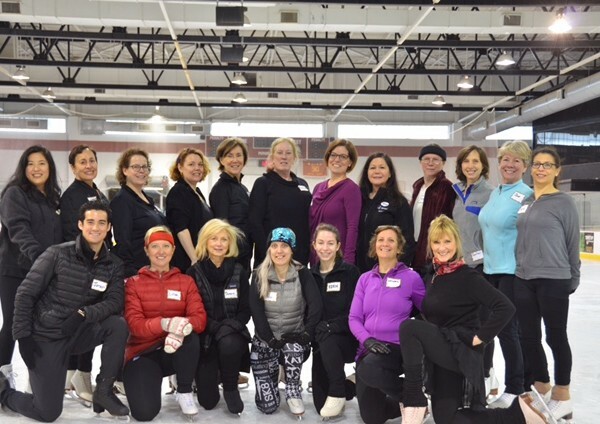 Whenever adult skaters get together, we are kindred spirits, loving the beauty of figure skating and striving to be the best we can be on the ice! 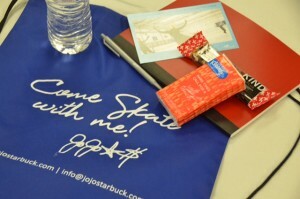 After signing in, morning coffee, goodie bags and stretching, we stepped on clean ice for an hour of Great 8’s! 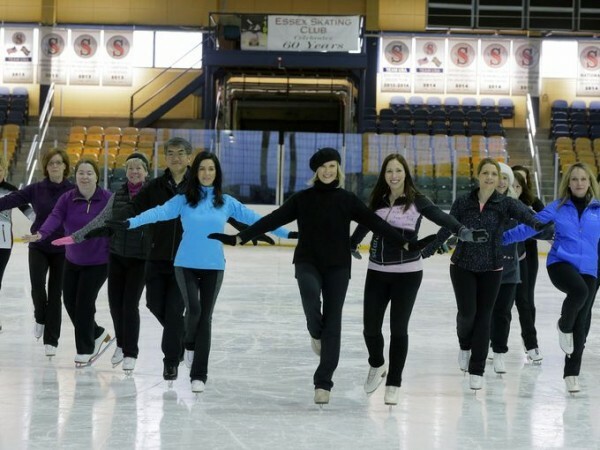 These 8’s are the foundation for all our skating moves as they get us in tune with our core, posture, balance, mind/body coordination and flow. 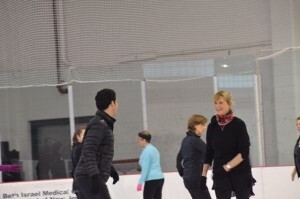 It also warms us up in a gentle way for free skating. 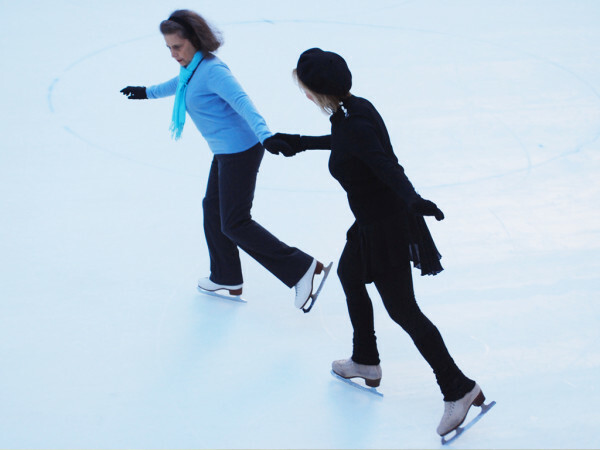 Even a simple forward or backward 8 can be challenging when trying to line up your circles, trace and push off correctly! 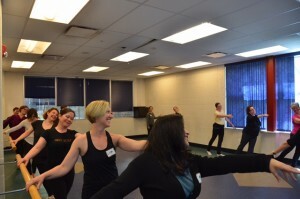 Next, we did edge class. 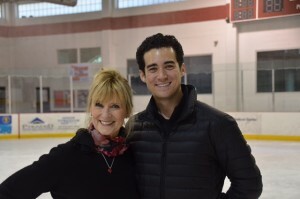 I was assisted by Jordan Cowan, a National Ice Dancer and Ballroom Dance coach whose posture and gorgeous edges had us all in awe! 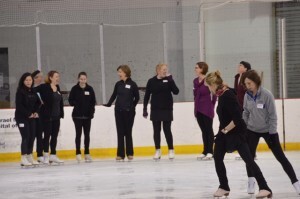 We fine tuned many basics as we flowed from one end of the ice to the other. Before long, 2 more hours had disappeared and it was time for lunch! 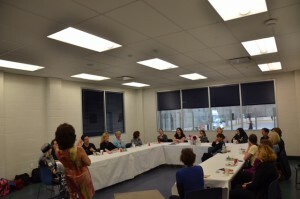 After lunch, we enjoyed our guest speaker, the hysterical Jennifer Jiles! 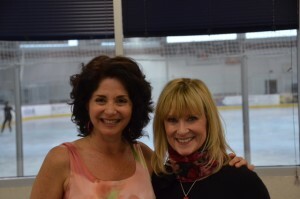 This wife/mom/actress/comedienne and former NYC Rockette, regaled us with funny stories of what life was like on the kick line at Radio City Music Hall! 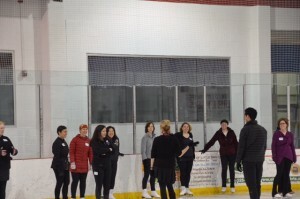 We finished off the day with a basic ballet/stretching class where we focused on moves and concepts we could bring to the ice. It was fun “going to camp” for the day with these ladies and doing what we all love to do! 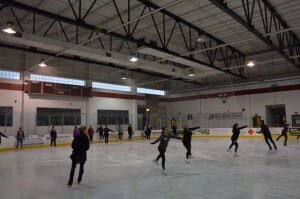 My next One Day Adult Figure Skating Camp at the Codey Arena will take place this fall 2017. 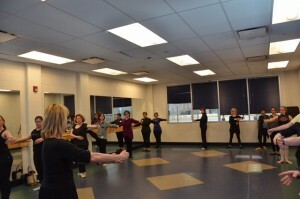 Come join the fun!! !